By Ian Pollard in News and Views, Uncategorized on 25th January 2019 . Vodafone Group plc VOD as expected the third quarter to the 31st December was fairly disastrous for Vodaphone and it can not all be put down to the adoption of IFRS, the sale of Qatar and foreign exchange headwinds which is the usual ready to hand list of pre prepared excuses for major international companies caught between a rock and a hard place. The company claims that the quarter produced robust commercial momentum a statement which appears to be completely contradicted by the figures with revenue in the Rest of the World down by an unacceptably high 11.1% and Europe by 5.6% to give an average drop of 6.8%. 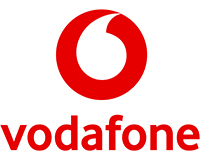 Vodafone Business allegedly became a leading : international challenger in fixed, ‘industrialising’ IoT – in fact so leading, according to the Chief Executive, that its revenue fell by 0.5%. This trading performance was what management expected in the third quarter. Organic adjusted EBITDA on an underlying basis is now expected to grow by about 3% for 2019. Barr AG plc BAG Reports a continued positive trading performance for the year to the 26th January with revenue expected to be up by about.5%. Strong trading and the continued success of its key innovation have led to further market share volume gains in UK soft drinks, with volume up 3.0% and value by a healthy 8.0%. Despite the threat of further regulatory intervention, continued profitable growth is anticipated for the coming financial year. SCISYS Group plc SSY The Directors expect that the Company’s trading results for 2018 will comfortably meet current market guidance in respect of revenues and adjusted operating profit. The Group’s order book remains strong and it continues to see solid organic growth across the Group, notably in its Space and Enterprise Solutions & Defence division. Bonmarche Holdings BON Expects the Group’s cash reserves to be adequate to meet its liquidity requirements, even at the lowest end of the PBT range, and when the cash balance is at its lowest, around the end of March. In the 13 weeks to the 29th December sales fell by 8.1% and in the 39 weeks to the same date they were down 2.7%. Online sales however were strong with rises of 22.2 and 26.5%. 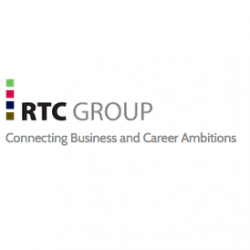 RTC Group RTC strikes a positive note and the Chairman is extremely pleased and encouraged by “The continued growth of Group revenue and profits and the improvement in net debt position, especially in light of the uncertainty surrounding the UK economy.